Get 10% cashback on pay via OLA money. Offer valid for postpaid users. Minimum recharge amount of Rs.300 required to grab the offer. Use Coupon ABAPRIL at Abhibus to get Up to Rs.100 Discount on Smiley Operators. Get Flat Rs.500 cash back from Abhibus on all Bus Bookings. 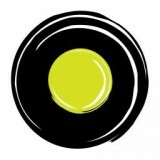 Pay with Ola Money Postpaid to get 10% Up to Rs.75 Cash Back from Ola Money Postpaid.